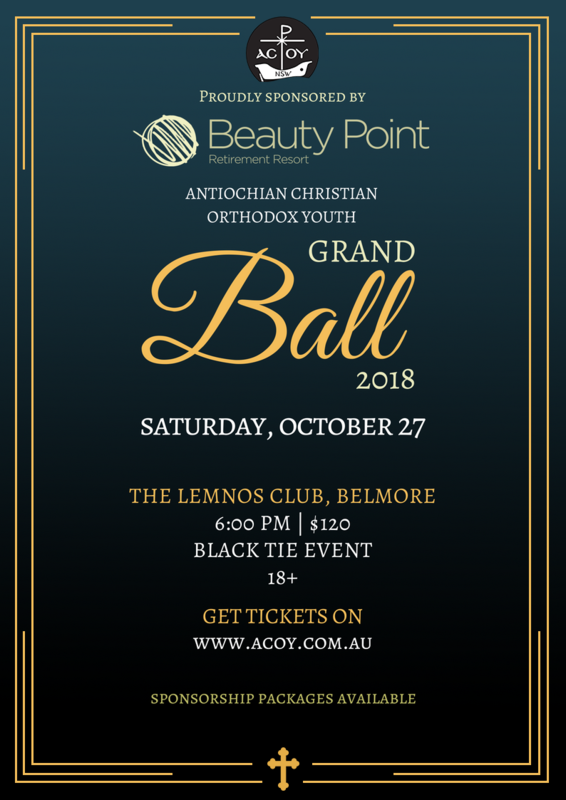 On Saturday the 27th of October, 2018 we will be holding our ACOY Grand Ball at Lemnos Club, Belmore. The Ball will be a black-tie event and will assist us in sharing our vision, raising awareness, building fellowship and raising funds to reach our goals. This is the flagship event for our large and growing community where most youth influencers and leaders from around NSW will be in attendance as well as national guests.